Ready or not, spring has arrived. If you have a green thumb, you’ve probably been itching all winter to get out into your yard and wake up your landscape. Adding some life to your outside space is not only therapeutic but it can add a sense of hominess to your mobile home lot. Landscaping helps put your mark on your yard and mobile home and make it your own. Recent trends have emerged in attempts to be more “green” and environmentally friendly. This trend is true of many renters and mobile home owners alike. Often times limited lot space or park regulations can limit design ideas of mobile home owners, making it difficult to make their space truly unique. With a little bit of everyday materials and a lot of creativity, many residents have been successful in making their yard and outside space both inviting, and ecological. If limited yard space is an issue for your mobile home, or your lot doesn’t have a functional place for gardening, consider an alternative. 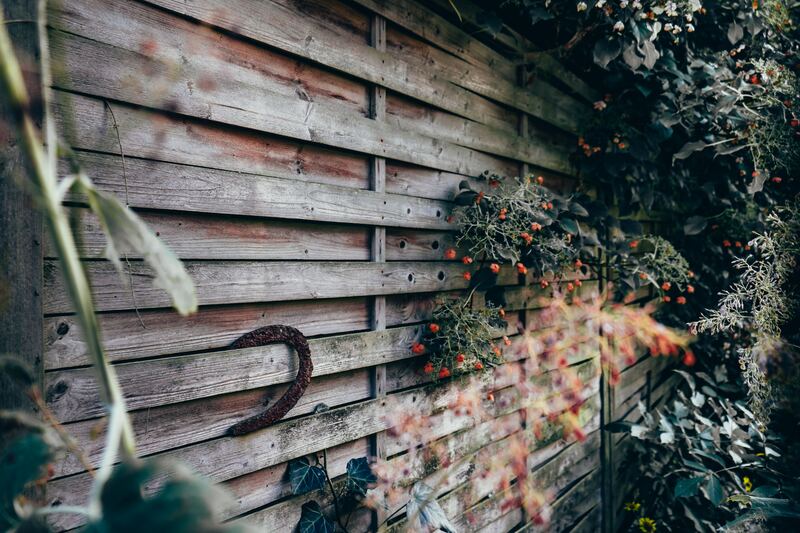 Taking your gardening vertical can help add the greenery you may be seeking. Hanging potted plants and other materials will help to maximize the space you presently have without taking over the yard. Vertical gardens are trendy ways to dress up walls or add some greenery to an area that typically hasn’t had a lot of life or charm. An easy way to capture the classic, environmental style is to repurpose old materials and used recycled goods. 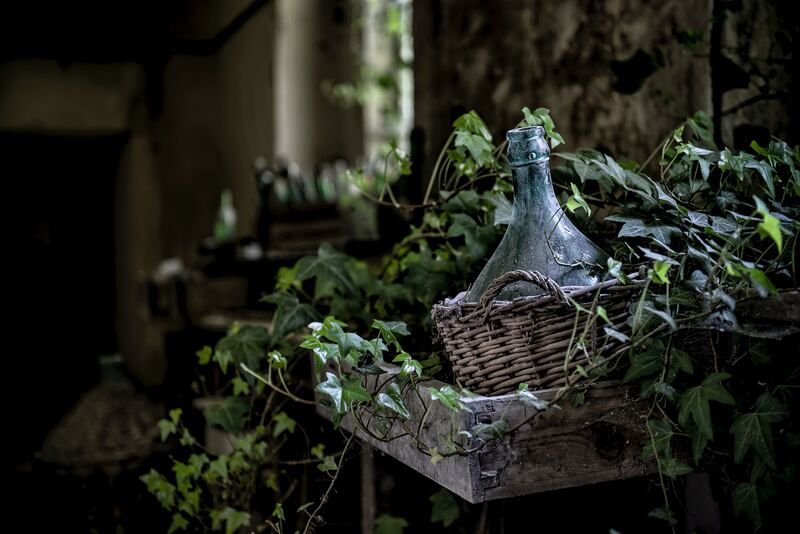 Pop bottles, watering cans, rustic looking tools and furniture are great mediums to work with. They capture a vintage, minimalist vibe which allows creative types to just use materials they already may have around the house. Hanging pop, or even wine bottles, can add a unique medium to your garden and also allows you to utilize those empty bottles you‘ve been saving. 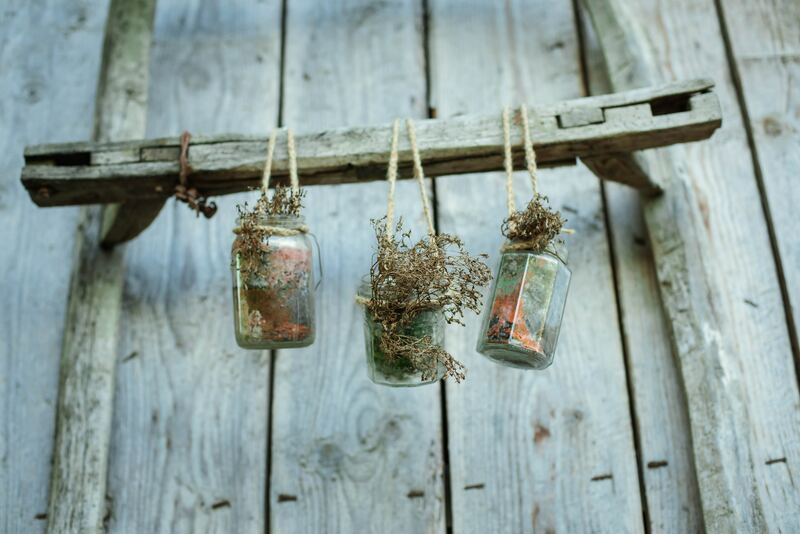 Mason jars really capture a rustic or country look and are typically a favorite among gardeners. To complement the glass, wood is a fantastic contrast. Not only does this enhance the country vibe but scrap wood and pallets are extremely accessible. Most of the time, the easiest place to find them is digging through trash or recyclables. Many companies that get deliveries on pallets will even save them for recycling. They are extremely popular for homemade crafts or furniture projects. The gaps in the pallets are perfect for climbing vines and also work perfectly for hanging planters. Pallets are easily modified to fit any creative need that you can imagine, including construction furniture. Along with planting on the wall or hanging your pots, you should remember to stage your garden correctly. Even on the ground, it is crucial to space out your plants and switch up the heights for a more aesthetically pleasing display. Typically bushes like hydrangeas, chrysanthemums and butterfly bushes frame your house well. It is common to see these in the back of your flower beds and closer to the mobile home for a good border. They also work well next to openings and doorways as they are a little higher and are a good starting point for walkways. Shorter plants like hastas or thyme work well along the pathway because they are shorter in stature and draw your eye forward. Creeping thyme especially is good for pathways, because it is extremely resilient. 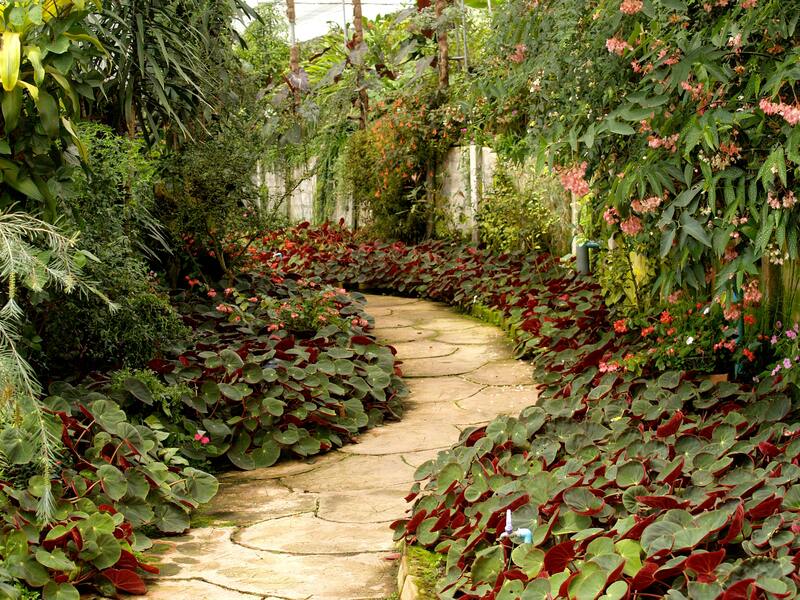 It also makes for a smooth transition from your flower beds to the path itself. Pergolas and trellises are the perfect framework for climbing vines. Ivy or honeysuckle vines make stylish entryways because they can completely enclose your structure making an archway type entryway outdoors. Also, they look fashionable against the backdrop of your mobile home as they break up the solid color of the siding or fence. They also grant an extra level of privacy when lots are smaller and closer together, which is common among mobile home lots. If you have a deck, a trellis or pergola is the perfect way to get some shade and enjoy the outdoors. Even in a natural garden, it’s okay to have a little gray. Stepping stones, rock gardens and even concrete slabs can look stylish against a green lawn. Not only are they neutral enough to go anywhere, they sometimes can be more accommodating than wood or grass. A common trend for stone is to line your flower bed or the base of your trees. Concrete blocks can be a mini garden themselves when used on their side. Use them for herbs or small wildflowers. This achieves an effective “nature meets modern” design and can tie in with your mobile home landscaping. Another popular lawn trend is installing a fire pit. If your neighborhood or park permits it, this is a great feature to not only make your yard more welcoming but more attractive. Bricks, concrete blocks or even larger river stones make a fashionable and safe border to frame your pit. Start by digging a shallow hole. A good rule of thumb is about a foot deep. A hoe is also a great tool to help loosen the dirt, and some say, works even better than a shovel. Also, be sure to have a minimum of a ten-foot radius of clearance to keep your fire pit safe from hazards, such as trees, grasses or bushes. 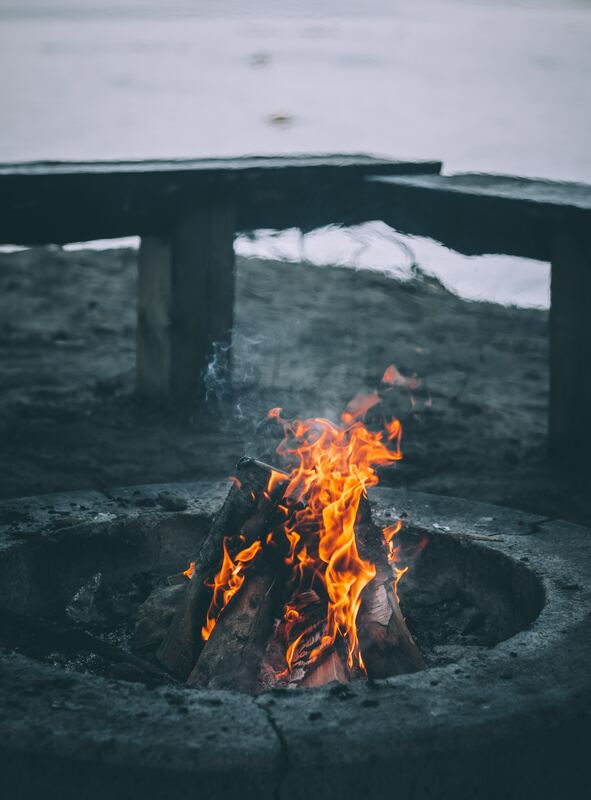 The less you have around the fire pit, the safer they are to enjoy. If open fire pits are not allowed in your area, consider a stone garden or small-scale labyrinth instead. Sand and stone have unlimited number of design options and have the potential to be stunning. Sand can be a wonderful alternative to grass underneath your stepping stones and can be half as much work. 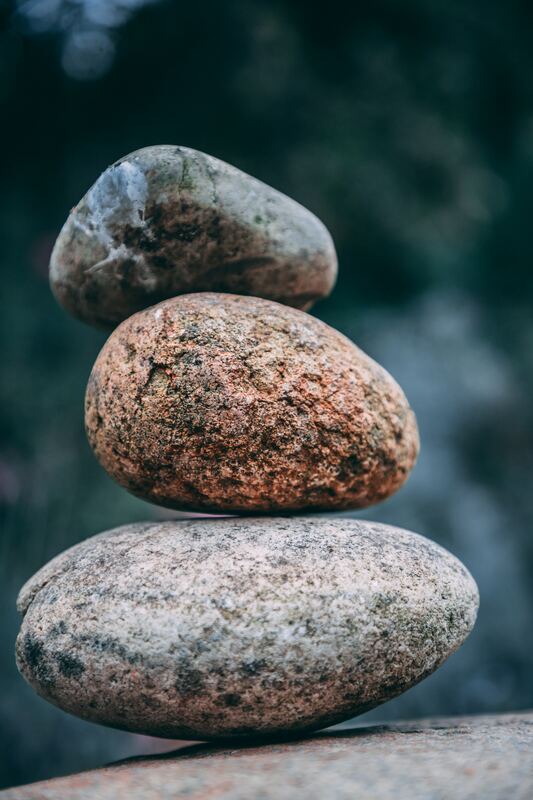 Japanese Zen gardens are also gaining more popularity for health benefits, as well as their sleek design. Not only can they help reduce stress, but they are an excellent way to break up green space in an original way. One reason they are becoming more popular is the upkeep with a Zen garden is much easier than a conventional garden. It is harder for weeds to take root in a sand garden, since there is no need to water and the roots find it harder to anchor themselves. Be sure to lay down a liner when you construct your Zen garden to keep things from sprouting underneath your sand. 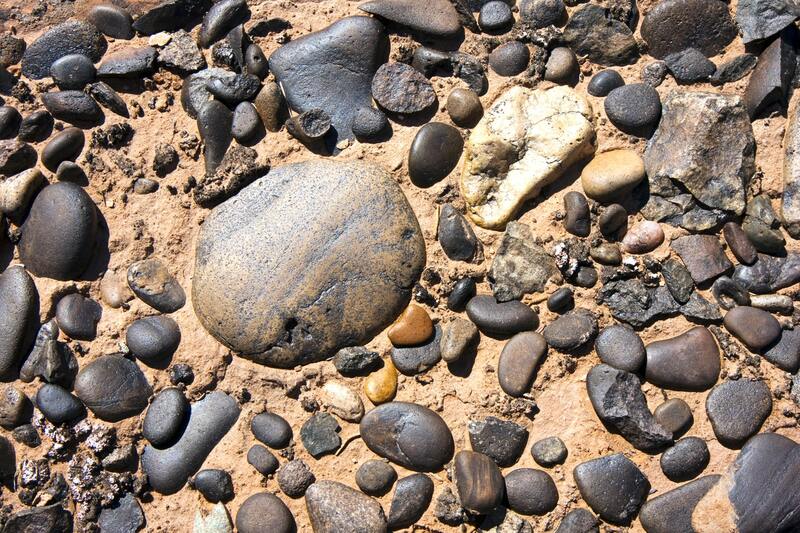 River rocks are the perfect addition to any sand garden. Available in a variety of shapes and colors, river rocks will provide your garden with a variety of patterns and tones. Darker color schemes are the perfect accent for your Zen sand garden, as they will contrast the light sand color. One benefit of living in a mobile home or traveling in an RV, is it makes the outside more accessible and enjoyable. A mobile home patio or deck is a great place to entertain and bring the party back outside. If building a deck off your home is not in the budget, there are a number of ways to create your own patio and make your mobile home yard appealing and entertaining. The basis of any patio is just a solid, flat surface. Spacing out stepping stones, flat pieces of slate or even flagstone usually works great for a custom-made patio. Cement slabs can even create an attractive pattern with some planning and inventive designing. Adding a canopy to your patio will help you enjoy it rain or shine. It will help you make the most of your space, despite the weather. Despite your lawn size or the materials that you have on hand, your best landscaping tool is your creativity. Mobile home lawns don’t have to intimidate you or upset you. Just remember to keep size and regulations in mind as you plan your mobile home projects. With the right amount of vision and resources, you can take your mobile home space outside and maximize your square footage. Don’t let walls limit your potential and style. This entry was posted on Wednesday, May 9th, 2018 at 9:30 pm	and is filed under DIY Project Center. You can follow any responses to this entry through the RSS 2.0 feed. You can skip to the end and leave a response. Pinging is currently not allowed.